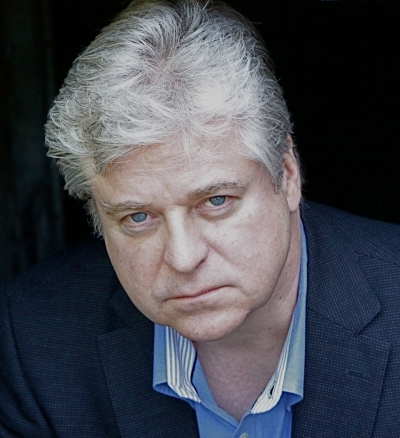 Linwood Barclay, a staff columnist for the Toronto Star from 1993 to 2007, started his journalism career at the Peteborough Examiner in 1977. He's published six novels -- four mysteries featuring Zack Walker, plus two standalones, No Time for Goodbye and Too Close to Home. His 2000 memoir of growing up in cottage country, Last Resort, was published to critical acclaim and shortlisted for the Stephen Leacock Medal for Humour. Two of his mysteries, Lone Wolf and No Time for Goodbye, have been nominated for the Arthur Ellis Award for best novel. No Time for Goodbye has also been shortlisted for a Barry Award and nominated for best novel by the International Thriller Writers. No Time for Goodbye has been sold around the world, is being translated into about 20 languages, and has sold half a million copies in Germany alone. More recently, it was chosen as a Richard and Judy Summer Read in the UK, which catapulted it to the top of the bestseller lists. Linwood lives in Oakville, Ontario, with his wife, Neetha. They have two grown children, Spencer and Paige.